The right mattress will make your RV experience memorable Trust me! Sleeping is an important part of life. It’s so important that most people spend about one-third of their lives engaging in it. And people don’t sleep just because it’s fun. But because it’s important. According to research, 7% of all crashes and 16.5% of fatal crashes involve drowsy driving. It’s vital to have a good night sleep because you’ll be driving a lot in your RV. Experts recommend that you sleep between 7 and 9 hours daily for optimum functioning of your body system. During sleep, the body regenerates and repair worn out cells. Sleep enables you to prepare for your activities the next day. If you have an RV, you’re most likely spending one-third of your time (or at least one-fourth) inside that RV sleeping.This is why picking a mattress for your RV is one of the most important decisions you’ll make before you go out camping. Picking a suitable mattress could be the difference between an awful experience on your RV and a wonderful one. There are many sizes of mattresses you can choose for your RV depending on the size of your bed space. One of these sizes is the queen size. But for an RV, it’s usually called the “short queen.” Why? Because the queen size on your RV is usually shorter than in your normal home. For most RVs, you will find that the size of the queen bed space is 60” by 75” which is shorter than the standard home length of 60” by 80”. If your RV has a bed space for the short queen, forget about using that queen size mattress in your house because it’ll be longer. This extra 5 inches may cause a lot of inconveniences as you move around your RV. This is why you have to purchase a specially made short queen mattress for your RV to have the best sleeping experience possible. Some RVs come with mattresses but users have found many of them to be low-quality which leads to a bad sleeping experience. If you’re buying a short queen mattress in 2018, you’re consumed with choices. But being consumed with choices can be a bad thing sometimes. Because you don’t know what to choose! There are countless short queen mattresses you can find today. But this guide will show you some of the best choices you can make based on what you want in a mattress. With these mattresses, you can fully enjoy a comfortable sleeping time. In fact, some mattresses on this list are so comfortable that users think it’s more comfortable than their bed at home. Without further ado, let’s launch into the list. This is a 6-inch foam mattress made from high density foam. This foam is hypoallergenic and resistant to dust mites. It is made for people who prefer a firm feel for their mattress. It conforms to the hips and shoulders of users to provide an evenly firm surface. The foam is covered with a premium damask white cover. It is rolled before it’s shipped to allow for easy shipping and installation in your RV. To install the mattress, unroll it onto the platform for your bed space. The mattress will expand to its normal height within 24 to 48 hours. Its foam is CertiPUR-US certified for quality. It has a length of 75 inches, a width of 60 inches, and height of 6 inches. With a weight of 34 pounds, this mattress is light and can be carried around easily. This 8-inch mattress is made up of two layers, a 6-inch high-density base foam layer, and a 2-inch premium memory foam. The two layers of foam are enclosed in a luxurious stretch-knit cover. This makes the mattress comfortable as it adapts to the shape of its user. Due to new technology, this mattress also sleeps cooler than early generation memory foam mattresses. This top foam layer is open-celled which allows the body to dissipate heat easily. The mattress is compressed and roll-packed for easier shipping. When you receive the product, all you need to do is to remove the mattress from its box and cut the plastic packaging open. Then you unroll your mattress on your bed space. It will expand to its normal height within 72 hours. Also, any slight odor you might perceive will disappear between 24 to 48 hours. Its foams are CertiPUR-US certified for chemical content, durability, emissions, and performance. It has a length of 75 inches, a width of 60 inches, and a height of 8 inches. It weighs 55 pounds which is similar to mattresses of the same size. This weight also makes it easy if one person is installing it. This memory foam mattress comes with a 7.5-inch high density foam at the base and has a 2.5-inch ventilated gel-infused memory foam at the top. The two foam layers are encased in a Tencel blend fabric cover. The cover is designed to be breathable, regulate temperature, and control moisture while you sleep on the mattress. With this mattress, you get a soft feel but still firmer than you’ll get on many memory foams. This firmness is due to the dense 7.5-inch foam beneath the memory mattress. However, it might sag a bit if you’re heavy weight. The gel-infused memory foam also gives a cool feel while sleeping on it. This is beneficial to people who get hot during their sleep. It would also prove useful if you camp in a hot region or during summer. The foams used are CertiPUR-US certified and they don’t contain formaldehyde, phthalates, or other chemicals. These mattresses are compressed, rolled and shipped in a box. With this, shipping becomes easier and you can easily set up your mattress in your RV. It has a width of 60 inches, a length of 75 inches and a height of 10 inches. It weighs 52 pounds which is light enough for a 10-inch mattress. It comes with a 25-year warranty which is a high level of trust in the product by the manufacturer. The 10-inch height of this mattress is made up of a 7-inch high density foam base and a 3-inch plush memory foam layer. The foams are enclosed in a soft, breathable knit cover. The foams used in this mattress are CertiPUR-US certified as clean and safe from harmful chemicals. It has a length of 75 inches, a width of 60 inches, and a height of 10 inches. This mattress weighs 82.5 pounds which is far heavier than short queens of similar size. Installing this mattress may require two people as it may be too heavy for a single person. This product comes with a 20-year warranty against manufacturer’s defect and you can also have a free 120 days in a home trial before you purchase. This Zinus mattress provides comfort for the user with its 3 foam layers. The 5-inch high-density base support foam serves as the base of the mattress. On top of this and in the middle is the 2-inch comfort foam and the top layer is the 3-inch memory foam. The mattress is encased in a knitted Jacquard cover. The softness helps the mattress to adapt to the natural shape of your body to improve comfort. However, its softness makes it more suitable for people who have low weight and single sleepers. With a couple or a heavyweight person, the mattress may begin to sag. This may also be an issue if one of a couple sleeping on the bed is far heavier than their partner. It may slope towards the heavier person which is inconvenient. The product comes compressed, rolled, and shipped in a box which makes it easy to install into your RV. After the installation, the mattress returns to its original shape within 48 hours. If you want a product made with natural materials, then this mattress will suit your needs. It uses natural plant oils to keep the mattress fresh instead of traditional petroleum. The foams used in this mattress are CertiPUR-US certified for durability, performance, and content. It has a width of 60 inches, length of 74 inches, and a height of 10 inches. It weighs 59.4 pounds which is still light considering that it’s 10 inches in height. This product comes with a 10-year warranty for its buyers. This mattress, with a 3.5-pound density, has 2 layers of foam. It has a 7-inch trizone support core as the base and a 2.5-inch premium memory foam on top of it. The foams are encased in a 1.5-inch quilted rayon bamboo cover to increase comfort. Its foams are CertiPUR-US certified to meet all flammability standards. If you’re on a trip to a cold region, then this mattress would be suitable for your sleep as it has a temperature-sensitive foam that keeps you warm and adapts to your body while sleeping. It’s built to distribute weight evenly and also eliminate motion transfer and pressure points for better sleep. This mattress has a resistance to dust mites and enhances better breathing as it’s naturally antimicrobial. You don’t need to turn your mattress after a period of time and you can clean dirty spots easily if there is a need to do so. It has a width of 60 inches, a length of 74 inches and a height of 11 inches. It also comes with a pillow top. It comes roll-packed in a box to ensure easier shipping. It’s important to remove your mattress within 72 hours of receiving the package for maximum expansion. After unpacking your mattress, it may take up to 48 hours before it assumes its original shape. Also, due to shipping in plastic packaging, you may perceive an odor. This will dissipate after your product is exposed to air. NuForm offers a 5-year limited warranty. This is a memory foam mattress that boasts of 4 layers. It has the 3.5-inch high-density foam as its base, followed by a 2-inch cool airflow foam support, then another 2-inch cool airflow and the 2.5-inch high-density memory foam on top of the layers. These foam layers are enclosed in a luxurious white cover with brown suede, fire barrier, and zipper washable cover. It has a width of 60 inches, a length of 75 inches and height of 10 inches. It weighs 55 pounds which is similar to most RV mattresses of the same size. One thing you get with this mattress is a 20-year limited warranty. If you want to feel the mattress before you buy, DynastyMattress offers a 120-day trial. This mattress is made with natural materials like bamboo cover, hydrated silica, and New Zealand wool. It has a therapeutic base foam of 7 inches and a 2-inch Gel memory foam on top of it. Even though the memory foam makes it soft as it provides a cushioning effect, the base makes it firm enough for people with heavy weight to use it comfortably without sagging. Above the memory foam is the New Zealand wool and the bamboo stretch knit respectively. The New Zealand wool increases comfort and promotes breathability. It’s also a natural fire retardant. You can replace the bamboo stretch knit and also wash it if there’s a need to. With its infused gel layer, it can disperse heat through the mattress evenly to prevent hot spots. Its foams are CertiPUR-US certified as free of heavy metals, formaldehyde, flame retardants, and phthalates. This mattress has a length of 75 inches, width of 60 inches and a height of 9 inches. It weighs 48 pounds which is light carry around while installing into your RV. It has a 120-day sleep trial period during which you can use it to know if it’s a good fit for you. There’s a 25-year warranty on the product which shows the manufacturer’s trust in its quality. This is another mattress from DynastyMattress and it contains 4 layers of foam. At the bottom is a 3-inch high-density foam, on top of that, are two layers of 2-inch airflow foams. At the top of the layers is a 3-inch 100% visco-elastic memory foam. All these foams are enclosed in a fire barrier and the cover. The 4-way zipper cover makes it easy to remove for cleaning. It has a width of 60 inches, length of 75 inches, and height of 10 inches. It weighs 60 pounds which is similar to mattresses of the same size. It comes roll-packed for easy shipping and for easy installation in your RV. The foams used in this mattress are CertiPUR-US certified for quality and safety. If you want to see if the mattress is a good fit before you purchase, it comes with a 120 days trial. After purchase, you also get a 20-year warranty on the product. This 10-inch mattress contains 2 layers of foams, a 7.5-inch high density foam as the base and a 2.5-inch pure memory foam. These foams are enclosed in a luxurious poly cotton blend mattress cover. Its foams are CertiPUR-US certified as non-toxic. It has a length of 75 inches, width of 60 inches and height of 10 inches. It weighs 60.8 pounds which is similar to mattresses of the same size. It’s roll-packed in a box for easy shipping and also to make it easier for you to install in your RV. It comes with a 20-year warranty which is one of the highest you can find on the market today. This mattress is an innerspring RV mattress with 360 coils. If you want a mattress that’s firmer than memory foams, then this spring mattress would do a good job. It’s particularly suitable if you’re heavyweight or your partner is as it has no sink. With this mattress, you have a firm sleeping surface that will hold your weight properly. It also has no negative effect on your spine as you may experience with a softer mattress. Despite being an innerspring mattress, it has layers of foam at the top and below the springs. It has a layer of quilting foam at the top, followed by a layer of high-density foam, then a layer of cotton felt above the spring. Below the spring, it has a foam base and a layer of non-skid fabric at the bottom. The foam is CertiPUR-US certified and uses a naturally retardant rayon instead of chemical fire retardants. The Parklane mattress has a length of 74 inches, a width of 60 inches and a height of 8 inches. This makes it a suitable size for your RV. This mattress comes compressed and rolled which means you can easily get it into your RV where you can unfold on your bed space. It also weighs 58.4 pounds which makes it light enough to be carried by a single person and easily by 2 people. One thing this mattress lacks compared to other short queens is its warranty. It only offers a 1-year limited warranty which is far lower than other mattresses. There is also no information about a trial period to use this mattress. Which mattress is the best for you? It depends on what you want. If you’re looking for a memory mattress that will give you the soft feel, a mattress like the LUCID 10-inch gel memory foam or the Zinus Ultima Comfort Memory Foam will meet your needs. However, if you’re heavyweight and need a mattress that’s firm and least likely to sag, the Serenia Sleep 6-Inch RV Mattress or the Parklane mattress would help you meet these needs. To install your short queen mattress, there are few steps you need to take. Also, there’s nothing technical about it. Unbox your mattress. Open the carton and remove your rolled mattress. It is advisable to remove your mattress from the box within 72 hours of receiving it to maximize its expansion. The rolled mattress is inside a bag. Tear this bag along the stitch line. Take care to avoid the use of knife or scissors in tearing the bag as this may damage your mattress. After this, you roll out your compressed mattress on a clean surface. There is a plastic bag that houses your mattress. Cut the plastic bag along its edges. You’ll notice that the mattress will begin to decompress. After this, you can place your mattress on your RV bed space where it will fully expand to its original size within 24 and 48 hours. Now you can enjoy your mattress. When your bed is fully recovered, you can now lay your bed linens before enjoying your sleep on it. Picking a mattress is more than just going to a store and taking something that pleases your eyes. You have to consider what makes a mattress suitable for your RV. Most times, RV manufacturers try to maximize the small space in RVs as well as possible. This means they have to cram as many features in as possible to appeal to their potential customers. This usually affect the bed space negatively. This is why it is important to measure the bed space of your RV before going for a mattress. The queen size in your RV is usually smaller than the queen size you’re used to in your home. Thus the term ‘short queen.’ It is common to have short queen size of 60” by 75” in RVs which is shorter than 60” by 80” in your brick home. Knowing the size of the mattress you’re looking for makes the choice easier. Memory mattress: this is a mattress made from viscoelastic that adapt to your body shape. It responds to heat and pressure and evenly distribute body weight. This is especially useful in medical cases when someone has to lie down for a long period of time. A firm mattress may put pressure on some body regions and impair blood flow to the region. This can lead to pressure sores or gangrene. A memory mattress helps to eliminate these issues. The main issue with memory mattress is that it can retain heat which can make it feel uncomfortable in hot places or during hot seasons. It’s more difficult to turn over on a memory mattress due to its softness. This may be a problem for little children as it may lead to suffocation. It can also produce chemical smell when it’s new. Air mattress: you can inflate this mattress with air when you need to sleep on it. One advantage that air mattress can have over other types of mattresses is its weight. In an RV where every pound matters, an air mattress will go a long way in reducing the weight of your RV. Due to its softness, it’s not advisable to use it for kids as it can lead to suffocation. Most materials used to make air mattresses are unbreathable which makes makes heat trap heat or cold during extreme weather. This can be inconvenient while sleeping. It may also leak air especially at high altitude which would give you a bad sleeping experience. Latex mattress: it’s made of natural or synthetic materials. If you’re looking for a mattress that’s durable, provides good breathability, and distribute pressure well, then a latex mattress will serve you effectively. Some people are allergic to the smell given out by latex although the smell goes away over time. Spring mattress: if you want a firm mattress, then a spring mattress would be your choice. It may also be suitable if you’re heavy weight. It’s also durable if you want something that will last long. However, a spring mattress may offer uneven support which causes pressure points that lead to poor blood circulation, aches, and joint pain. Gel-based mattress: traditional memory mattresses have a closed cell structure which traps heat and can make it uncomfortable for its users. A gel-based mattress has an open cell structure which makes it breathable and allows for a cooler sleep. 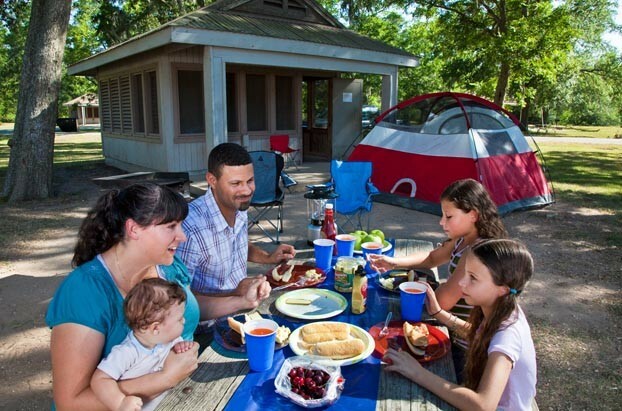 Whether you only use your RV for vacation or you live in it full time, having a good night rest is always important to enjoy your stay in the RV. You don’t want to use a mattress that gives you nightmares while you sleep and add back pain to it when you wake up. So you need to pick a mattress that’s not too hard or too soft or too hot. Are you traveling around the continent or just going to camp at a particular location? Will it be a month journey or a year-round journey? The answer to these will help you access the weather condition you need to prepare for. For a year round trip, you want a mattress that will be able to withstand both extreme heat and extreme cold. However, if you’re going to a place that’s hot, you want to avoid a mattress like the memory foam that can retain heat. Also, there are mattresses that become softer when it is hot and harder when it is cold. For instance, a mattress like the Tempurpedic could become hard in lower temperatures and this can prove to be uncomfortable. There are many unique needs you have that you have to consider when choosing a mattress. If you’re taller than 6 feet, you need to consider this when picking a mattress so that you don’t have to cramp when sleeping. In fact, a short queen will be unsuitable for someone who is 6 foot 2 and above. Another unique need could be if you have issues with back pains. You’ll want to avoid a soft mattress as this may complicate the issue. Also, a memory foam can be hot which could be a problem for a woman who is experiencing the hot flashes and night sweats of menopause. One of the issues that come up in the design of an RV is its weight. There is usually a recommended weight for your RV and you shouldn’t exceed it. If your RV is already close to this weight, you need a mattress that is light and won’t add much weight to that of your RV. A heavy mattress will also be more difficult to carry through the tight space in an RV. It’s also important to consider this important factor if you have a storage space under your bed. A heavy mattress will make it difficult to access this space compared to a lighter option. A mattress in an RV will undergo more stress due to the movement of your recreational vehicle on a road compared to a mattress at home. This means a type of mattress will usually have a shorter life on an RV than at home. Using and enjoying a mattress at home doesn’t mean it will be suitable for your RV. You have to access how the mattress will be affected by the rigors of a journey. This plays a significant role as you want a good mattress at the right price. If you’re on a budget, you have to find mattresses that will suit your needs without hitting you hard in the pocket. To pick the right short queen mattress for your RV, you need to take your time to go through all the options you have. It’s not a task that should be done in a hurry. You need to define what you want in your RV mattress with respect to your health and the comfort levels you want. Going on a journey with your RV is a great experience. Having a wonderful mattress to sleep on at night even makes your experience better. And it can be as good as your sleeping experience at home if you make the right choice.